Even if employees are otherwise happy with their job, over half of employees would consider leaving for another company if approached in an “innovative” way. New research from FutureStep, released in its Innovation Imperative report, indicates that 65 percent of employees who are satisfied with their job would jump ship if approached in with unique benefits from another firm. By “innovative,” the report refers forward-thinking benefits that are consistently new and exciting and that find new ways to keep employees engaged. • Most employees would pursue new employment opportunities if promises made to change the way they are engaged and developed were not met, with 52 percent saying they would leave after six months. • Over 80 percent of workers expect their employers to “wow” them with engagement and recruiting methods. • Nearly 80 percent of staff reported performing better if they were engaged in interesting ways. 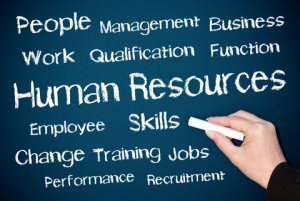 • Over three-quarters of HR professionals think that findings new ways to recruit and retain talent is crucial. • Over 75 percent of HR professional said their organizations should do more to demonstrate innovation. • At the recruitment stage, 49 percent of candidates are more likely to consider a job advertised in an innovative way and 51 percent would feel most positively about a company if it were perceived as innovative. • The main barriers to innovation, according to companies, are resistance to change (37 percent), money (28 percent), and lack of experience (27 percent). • Just 37 percent of candidates think that their current company is innovative but 79 percent would feel motivated by innovative working methods.